Display advertising is an important pillar of revenue for digital publishers, but disruption of those advertising revenue models has presented several challenges. Last week Laurie Sullivan at MediaPost reported that US publishers have lost up to $15.8 billion in advertising revenue due to ad-blocking technology. The numbers come from a study done by OnAudience.com, which estimates the international loss of ad revenue as a result of ad-blockers rose to $42 billion. Some publishers have found that a “less is more” approach may yield better results. By being selective about the number of ads, their placement, and just who is advertising what, readers visiting a website are more likely to click on an ad when it’s relevant and their experience is enjoyable. Aggressive and spammy ad tactics have helped drive an increase in consumer adoption of ad-blocking technologies in recent years, some industry observers say. Publishers may also be trying to get ahead of Google’s plans to introduce an ad “filter” to its popular Chrome web browser early next year, which could block interstitials, autoplay video ads and other formats from loading by default. For some publishers, it probably feels as though the harder you try to get advertisements seen, heard, and clicked, the more likely they are to encourage ad-blocking or drive readers away entirely. So what types of ads are working well for publishers? Consumer advertising is shifting as audience consumption patterns evolve. We foresee advertisers will keep spending more on native because it often outperforms traditional ad units. “Native advertising” can mean slightly different things depending on who you talk to – in some cases, they look like a “Related Articles” section, with suggestions for further reading that may or may not take you to a different website when clicked. Some native advertising platforms will let you both buy and sell your traffic. Some people define “native advertising” as ads that promote content that may look like a website’s regular content, which may take you to a different website when clicked. (And some native advertising platforms will let you both buy and sell your traffic through this method.) I suspect this type of so-called native advertising is more likely to be caught by ad-blocking technology and may irritate users, since in some cases it may be misleading the reader about the article’s source. Last month WordStream updated their list of the five best and worst examples of native advertising they’ve seen, and in this case, it usually looks a little more like sponsored content or “advertorials”. What makes or breaks a publisher’s ability to pull off a native advertisement of this sort seems to be about both transparency and quality. If a native advertisement actually has useful, interesting, or entertaining content, and it’s obvious that it is sponsored by an advertiser and not trying to trick you into thinking it’s objective journalism, it can be really well received by readers. And that means it’s working well for your advertiser – and your revenue. Job posts or recruitment advertisements meet these criteria, and are perhaps even more useful and easily recognizable as advertisements without irritating readers and detracting from their overall experience on your site. Publishers have a distinct advantage over other job boards in that they already have an established brand and an audience, and most have good insights into who their readers and subscribers are, which helps recruiters know who they’ll be reaching when they advertise jobs on your board. Using your existing third-party ad publishing, you can also drive readers from your main site content to relevant jobs on your job board, and drive job seekers to your main content with articles and media that are relevant to their industry or provide career advice. Although they are of a different nature than your other content (articles, videos, photos, etc.) job posts are content that adds value to your site. Thinking of recruitment ads posted to your publication’s job board as native advertising is a good way to approach the monetization of your readership, but it also helps you reframe ads as something your readers proactively seek out, instead of just being something they tolerate. 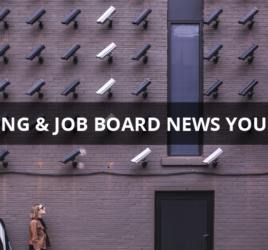 If you’re a publisher searching for ways to maintain ad revenue without annoying your readers, consider using a job board to manage job posts as a form of native advertising. 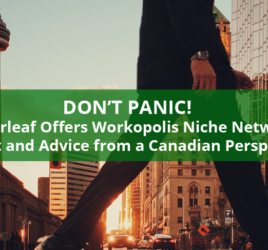 You can learn more about how Careerleaf helps publishers here.